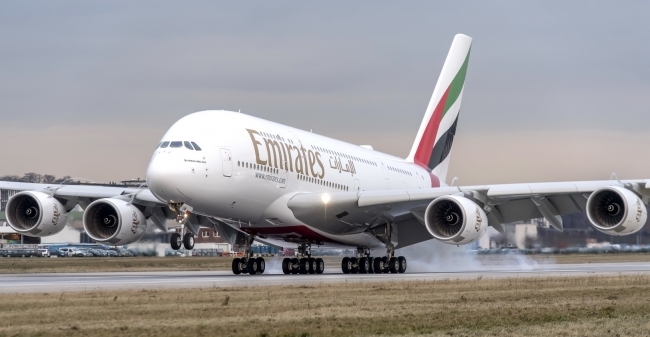 Dubai-based Emirates Airline has signed a Memorandum of Understanding (MoU) to acquire up to 36 additional A380 aircraft. 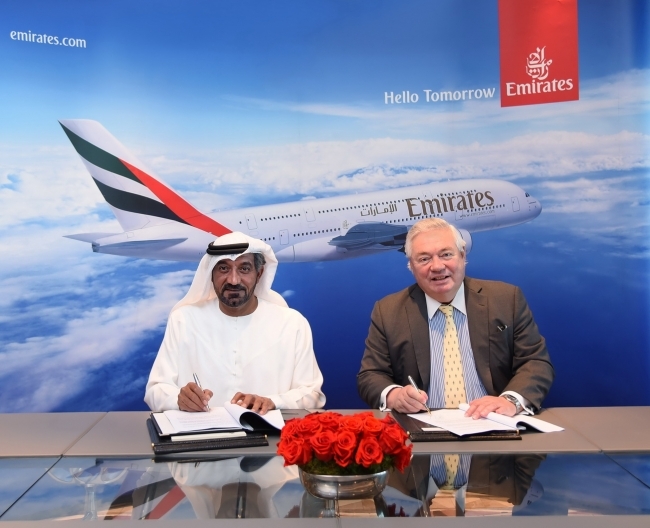 The agreement was signed at the airline’s headquarters in Dubai by HH Sheikh Ahmed bin Saeed Al Maktoum, Chairman and Chief Executive, Emirates Airline and Group, and John Leahy, Chief Operating Officer Customers, Airbus Commercial Aircraft. The commitment is for 20 A380s and an option for 16 more with deliveries to start in 2020, valued at US$16 billion at latest list prices. The A380 is the world’s largest aircraft, with two full widebody decks, offering widest seats, wide aisles and more floor space. Over 200 million passengers have already enjoyed the unique experience of flying on board an A380. Every two minutes an A380 either takes off or lands at one of the 240 airports around the world, ready to accommodate this magnificent aircraft. To date, 222 A380s have been delivered to 13 Airlines.